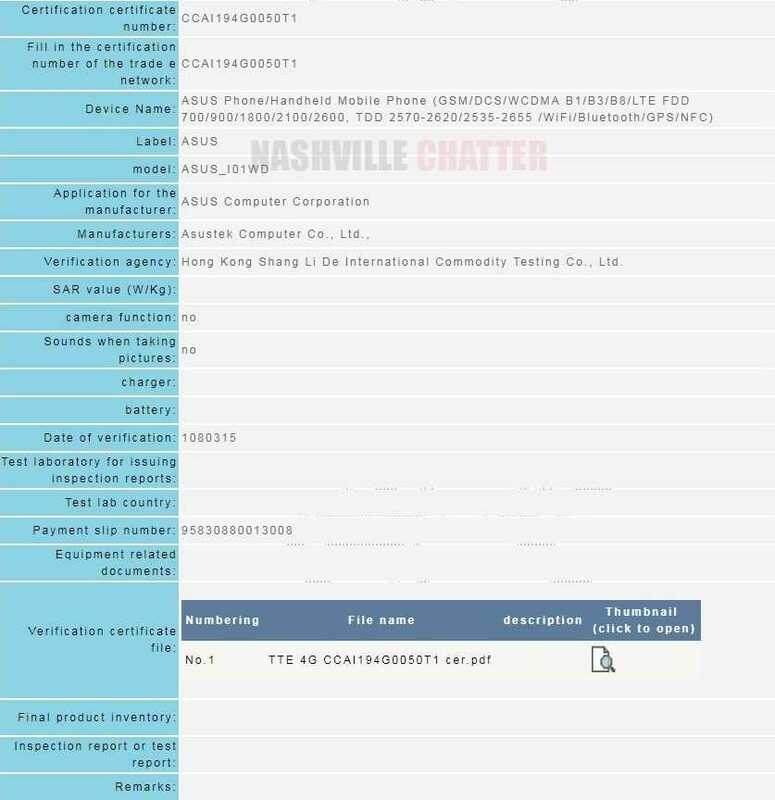 An unreleased Asus smartphone with model number ASUS_I01WD has been certified by Taiwan’s National Communications Commission (NCC) which could be the upcoming Asus Zenfone 6. Unfortunately, the NCC certification of the phone hasn’t revealed any details on the specs of the phone. However, since the Taiwanese company is expected to announce the ZenFone 6 series on May 16, there is a possibility that the ASUS I01WD model number could belong to the upcoming ZenFone 6 smartphone. The ASUS_I01WD was spotted on the Wi-Fi Alliance website in mid February. The Wi-Fi certification of the phone had revealed that it is loaded with Android 9 Pie OS and it is equipped Wi-Fi 802.11ac. On May 16, Asus is expected to not only announce the ZenFone 6 phone, but also other devices such as ZenFone 6z and ZenFone 6 Lite. These phones are expected to arrive as successors for ZenFone 5, ZenFone 5Z and ZenFone 5 Lite. The official teaser that was released in the previous month carried “Defy Original” tagline for the ZenFone 6 series. Earlier leaks have suggested that the ZenFone 6 could be coming with a triple camera module and the device will be sporting a gradient color finish. The back panel of the phone did not feature a fingerprint sensor which indicated that the ZenFone 6 could be the company’s first phone to arrive with an in-screen fingerprint reader. The prototype images of the ZenFone 6 that had surfaced at the end of the previous year revealed that the phone may feature a punch-hole display. The ZenFone 5 and ZenFone 5Z phones are equipped with wider notches like the iPhone X. Hence, there is a possibility that the upcoming ZenFone 6 and ZenFone 6z may either feature a waterdrop-style notch screen or a punch-hole screen. Since the ZenFone 6z is expected to arrive as a flagship phone, it could be equipped with the Snapdragon 855 SoC. Asus is also planning to launch two other phones namely Asus Zenfone Max Plus M2, which has a dual rear camera and 32GB storage capacity and Asus Zenfone Max Shot with triple rear cameras and 64GB storage space. The user manual from Brazil’s Anatel was recently leaked for these phones along with the phone’s images.